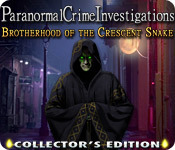 Paranormal Crime Investigations: Brotherhood of the Crescent Snake Collector's Edition is rated 3.5 out of 5 by 21. Rated 5 out of 5 by leila777 from Really Need a Sequel I love this game so much I was looking for the developer, to see what else they've done; apparently it's small or indie, and I'll have to play again to find out for sure. It's best thing for me, is the luscious artwork - I make jigsaws out of screenshots (and hard enough to spend days or weeks working on one, so that's a lot of love for the artwork), and Crescent Snake had some of the most striking and to die for scenes I've ever found, really ever. Also much better than most on the gameplay overall, story, and the ambience is truly awesome, powerful, charming, and immersive. That beautiful ambient character throughout really adds depth. The story is good, but while better than most (yeah, I'm fussy) nothing else up to the bar of the artwork and atmosphere. But then few games have anything at all that good. Rated 5 out of 5 by 1andras1 from long name but exellent fun! I just love this game!!!!!!!!!!!!!!!! Rated 5 out of 5 by Tripletsn1 from Playing the demo? Just try not to buy it! This game opens with a murder on the streets of New Orleans and you on the scene as a paranormal crime investigator to get to the bottom of it. Navigation is easy enough but if you get stuck, hints are plentiful. HOS took some searching but nothing was too difficult to find; in the demo I resorted to using a hint once because I was anxious to move along in the game. A bit of back & forth needed to progress through, but everything made sense. Mini-games were simple but a refreshing change from the ordinary. Creepy music & sound effects lend themselves to the story quite well without being annoying or intrusive. I would've thought in a game of this caliber that there would've been voice-overs; maybe that was a blessing in disguise (nothing's worse than bad actors with lame Cajun accents!). The demo ends suddenly with a cliffhanger that makes it VERY difficult to pass on buying the full version; give it a look & see for yourself! Since I'm reviewing only the demo portion, I'll edit this to include the entire game once I finish it -- which you can bet will be soon; I can't wait to dive back in! Enjoy!! Rated 5 out of 5 by Eoarod from Creepy Crescent City Fun! Beautifully made, runs glitch free, compelling story line and good characters! This one has it all! Also good level of challenge both in H0 scenes, tasks and games. This game gives you a great sense of satisfaction when you complete it - not just because you've beaten the games and such, but because you've made the world (or at least New Orleans) a better place to live! Story really draws you in & the tasks make sense to the case - there is lots of back and forth - but not to excess & case file sure helps you keep track of what you need to be doing! Lose yourself in New Orleans and happy gaming! Rated 4 out of 5 by Heather_G from Interesting and longish... I liked this game. As others have mentioned, it was creepy without being really scary. The colors were often bright, which I like, in spite of the story taking place at night. It did take FOREVER to start up on my older PC, but once running, seemed to perform fine. I liked the bonus chapter, but the games were too easy to want to replay any of them, and the wallpapers and music didn't do much for me. Overall, a good game. Rated 4 out of 5 by aleta59 from Good, but short for a CE Interesting storyline: as a paranormal investigator you have to discover how to find and stop the Brotherhood of the Crescent Snake that killed a young man in New Orleans. Great graphics. No VOS, only text. Voodooish, but not scary. HOS partially interactive. 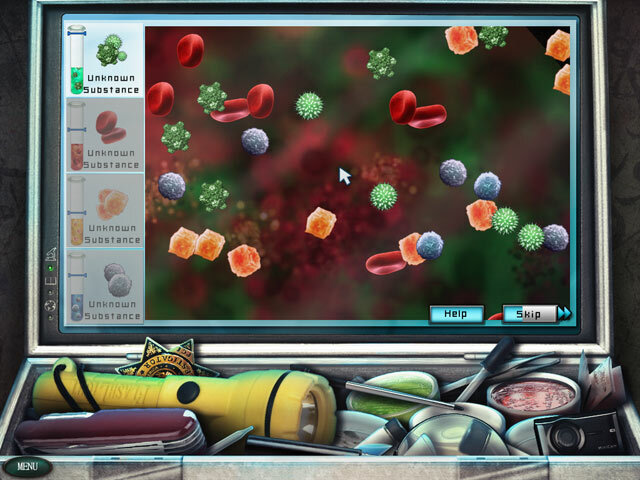 Puzzles difficult, especially the ones where you have to create different potions from your kit. Some were too confusing for me. Nice music. Short game, only 5 hours on casual play, and that includes over an hour on the bonus chapter, which rounded out the story. Not worth a CE price: buy it on sale or wait for the SE. Rated 4 out of 5 by Boomer1097 from Creepy Voodoo Fun This game was fun. The graphics were acceptable, but could have been better. The sound was fine and not annoying. There were no voice overs, so you did a lot of reading at times. The cut scenes varied, some were excellent, some were just ok. The "investigation" aspect was fun. 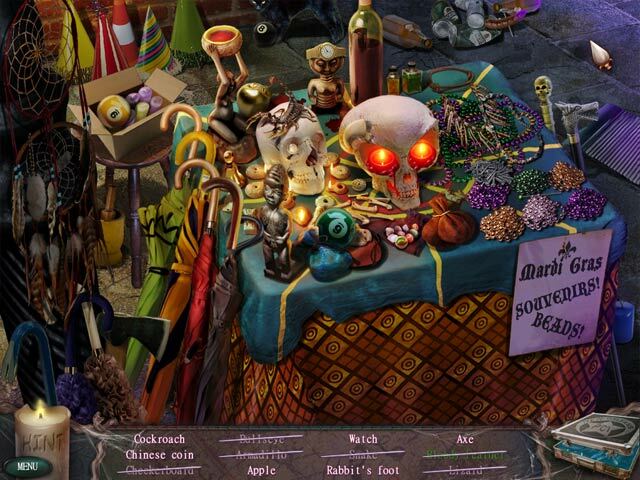 There were certain items that you drag to your investigation "kit" which opened some interesting mini games. The ending was satisfying, but quick. The bonus chapter was fun, but it was easy to figure out how it was going to end within the first 5 minutes. The HOS were ok. Some items were almost impossible to locate, but the hint button is helpful and recharges quickly. There are places were the game moves slower than it should. With a few changes this game could have been excellent, but overall it was a fun game. As long as you're not upset by voodoo-type activities, I recommend the SE of this game. The CE isn't worth the money. Rated 4 out of 5 by Rescue_helo from A game worth considering Not a bad game at all which, I am surprised to see, didn't arouse more enthusiasm. The only thing which really got on my nerves is the screen turning green after every 3 misclicks. I do not like games which penalize you. Yet I will make an exception for this one because it has a lot of things I did like. The artwork is not as exuberant as in other recent games, but it is quite pleasant and conveys quite well the creepy atmosphere of the "voodooistic" side of New Orleans which is the essence of this journey into the paranormal. The music is good and plays only at certain times, reinforcing the climax without ever being intrusive. In spite of their general clearness the HOS's are cluttered, some items are easy to find, others not; try and spot a dental floss or a roach in all that junk....duh !!! But thank Goodness, hints are illimited and recharge fast. I also liked the minigames for their originality if not for their difficulty, since they all can be solved with ease. Unfortunately, the demo only lets you have access to Chapter 1, hence many unknowns. I would have appreciated taking a look at the rest to see how long the game lasts, what the unplayed minigames look like, assess the overall difficulty, and whether the bonus chapter -if there is one-, that is the CE, is worth the extra expense. This game could have been easily polished: the intro is utterly unsophisticated, the voice-overs totally absent, the challenge level seems standard, and there is only one Mode. In spite of this, it is true the game has something special, something compelling, almost impossible to define. I guess it is the atmosphere which slowly creeps on you without your being aware of it. The end of chapter 1, beginning of Chapter 2 conveys this climax even more and truly left me wanting for more. Very clever. And I like that. Overall, a rather interesting adventure, uncomplicated, of medium difficulty, which has its place in any collection.... in mine at least.